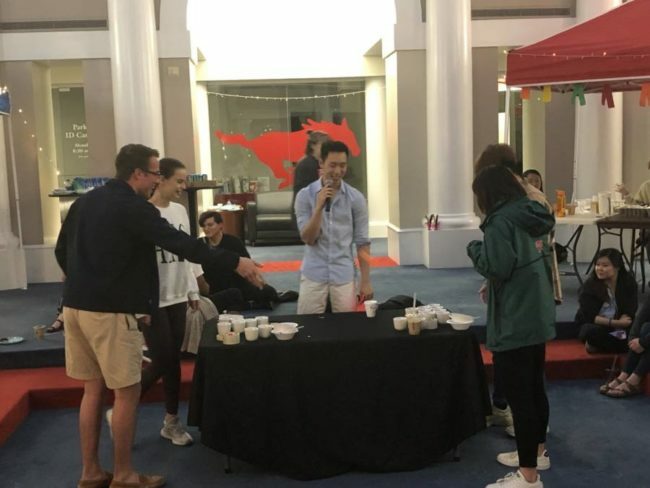 Students were challenged to eat pickled chicken feet among other questionable snacks as part of the Fear Factor competition at the EASA Night Market event at the Hughes-Trigg Student Center on Saturday, March 23. “I may or may not have been crying during the game,” Hughes said. EASA Night Market’s popular Fear Factor competition included 20 participants. Students had to either eat unpleasant snacks or forfeit the game. Some ate pickled chicken feet and wasabi. Carlyn Mattson ate chicken gizzards and Timothy Hughes ate wasabi and won the $25 Amazon gift card. One of the participants ran out of the door when he got challenged to eat pickled chicken feet. 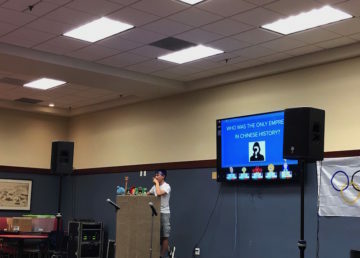 Mattson and Hughes said that the gizzards and wasabi were among the worst “forfeit” snacks they had to eat but it was worth it for the reward. “I’m going to buy accessories for my blender to make smoothies for my roommate,” Mattson said. “I’m going to go on a trip,” Hughes said. 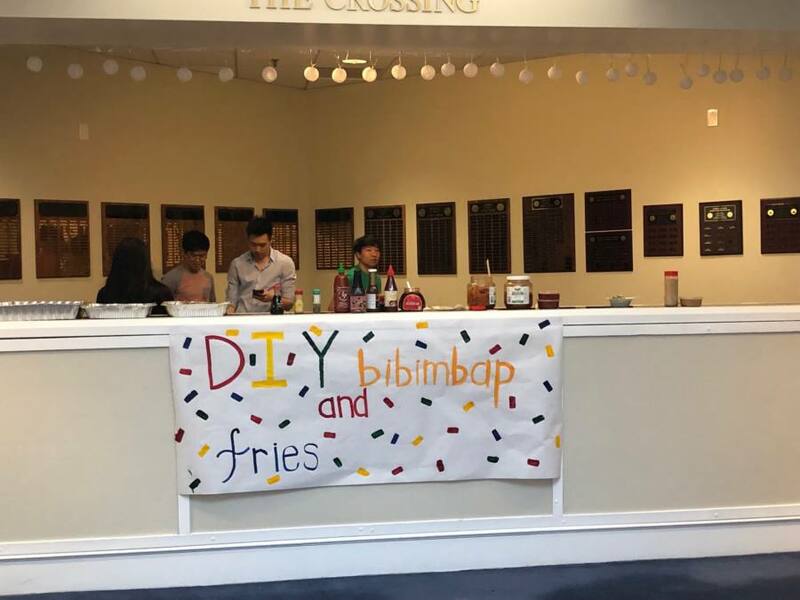 EASA Night Market allows students to experience Asian culture through food and DIY activities. This year it catered food from three Asian restaurants and one Boba shop. The DIY activity was to create a Korean dish, Bibimbap. SMU student Andrea Salt loves attending such events as they give her a chance to learn about other cultures. Two of the dishes that sparked curiosity among some students were the Spam Musubi and Chinese Black Sesame Rice Balls. Students were asking the servers about what these dishes were. 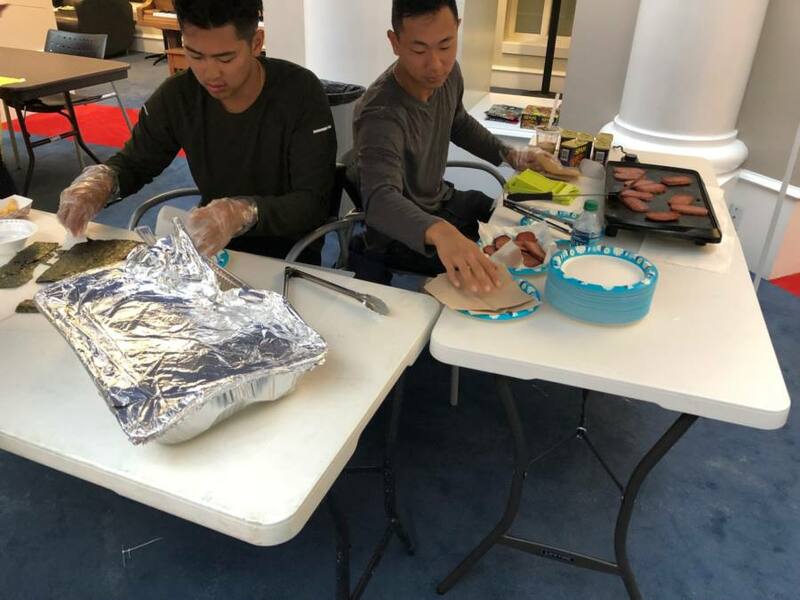 Jake Chen sat down with a skillet throughout the event to serve fresh Spam Musubi. Tiffany Lam and William Lee were not there to just grab dinner and leave. They made sure to try the different foods that were being offered. “I’m a simple man and I like Boba,” Lee said. 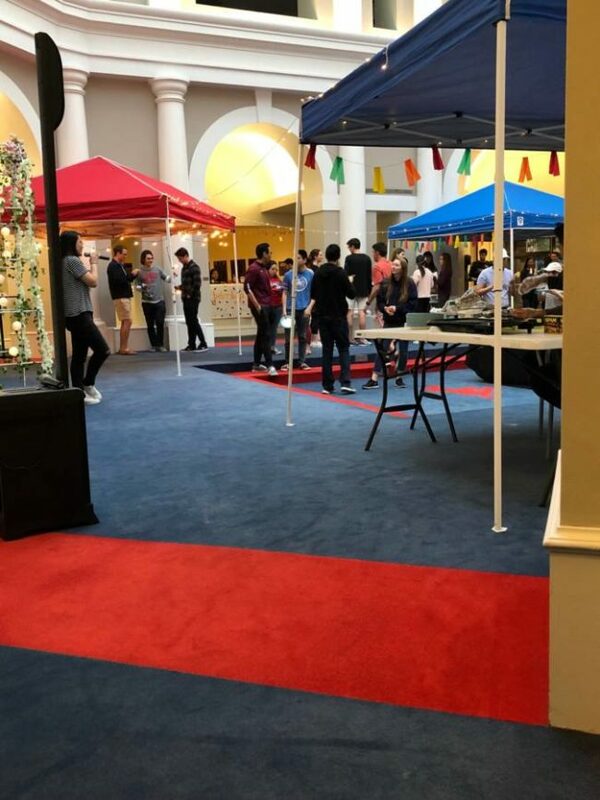 Eveyen Calado, president of the East Asian Student Association, said that one thing she made sure to stock up on was Boba. People rushed to get free Boba as soon as Calado announced that the bubble tea had arrived. Calado said that her goal this year was to create a relaxed environment to give people time to interact with one another.